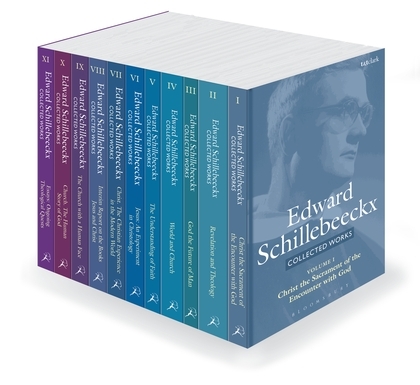 In the period 2000-2006 Robert J. Schreiter was the professor ‘Theology and Culture’ by the Foundation Edward Schillebeeckx at the Faculty of Theology in Nijmegen. Robert Schreiter is professor ‘doctrinal theology’ at the Catholic Theological Union of the University of Chicago. He is one of the most prominent theologians in North America. Professor Schreiter studied psychology and philosophy in Indiana (U.S.) and theology in Oxford and Nijmegen. In 1974 Schreiter wrote his Phd thesis ‘Eschatology as a Grammar of Transformation’ under supervision of Edward Schillebeeckx. 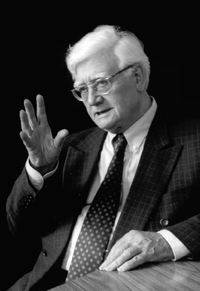 Robert Schreiter studied intensivily, from different perspecives, the relationship between faith, theology and culture. 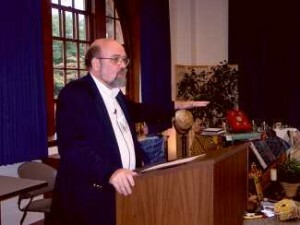 Due to the many languages he speaks (including Dutch) and the frequent participation in conferences in the U.S. and Europe, Schreiter contributed extensivily to the exchange of Euopean and American theology. He published articles in among others the ‘Tijdschrift voor Theologie’ and different books, e.g. Constructing Local Theologies (1984; Dutch: Bouwen aan een eigen theologie, Baarn 1984); – which had a central function in educating theology in Nijmegen; The Schillebeeckx Reader (1984; Dutch: Edward Schillebeeckx, Tekst en toelichting, Baarn 1985); – an important introduction to the theology of E. Schillebeeckx; The New Catholicity (Maryknoll, N.Y., 1997) and The Ministry of Reconciliation (ib. 1998). Recently he pulished a Dutch article in the ‘Tijdschrift voor Theologie’ (3911, 34-47): Nieuwe contouren van geloof. Verkenning van de stand van zaken in de huidige westerse wereld (new outlines of faith. Exploration of the problems of christian faith in the present western world). He points out problems of christian faith in the present society. He is convinced that christianity still has ‘something to offer in the situation of faith in our days’ of cultural and social globlisation. Schreiter uses three keywords for this ‘offering something’: (1) a radical trust, even when there is ambiguity in the essence of faith, (2) an awareness of the all-embracing, that is a perspective on the whole to balance and challenge the emphasis on locality, (3) a revaluation for the image of Gods people, since we are walking together as equals. Currently the period of Robert Schreiter as professor is evaluated. In 2006 his appointment was formely ended. The Foundation is examining the possibilities for the next professor.